Four-time U.S. Women's champion (2006, 2008, 2009, 2011) Anna Zatonskih moved to the United States in 2002, just in time to take part in training sessions for the first medal winning Olympic women's team (2004) in U.S. history. Anna is known for calculation skills that even Garry Kasparov praised at a 2004 Olympic training session. This is no accident. To train, Anna sets a clock, studies a complex endgame study or tactical position and writes down all her analysis. "You must write it down", she insists, "Otherwise you'll think you saw something which you didn't." Like many top players, Anna finds the traveling that chess requires exhausting at times but mostly thrilling. Some of her favorite places are the Blue Lagoon in Iceland, a year round geothermal bath; Curacao, where she scuba-dived every day and the wild nature of Kapensiki in northern Canada, where she paddled a canoe for the first time and encountered bears. Her adventurous spirit also shows over the board. Anna's coach at the 2004 Olympiad, Alexander Chernin urged her to try openings she never played before, including 1.d4. She was successful and gained confidence that she could play any position. Her bravery contributed to the team's historic silver medal finish. In the 2008 Dresden Olympiad, Anna cemented her reputation as a great team player. She earned the gold medal for her performance on board two, helping the American women earn bronze , for the second U.S. women's medal finish in history. Anna Zatonskih is intense on and off the board. Sometimes she gets so wrapped up in a tournament that she has trouble sleeping. She admits that getting over these bouts of extreme nervousness allow her to play her best. In the 2006 U.S. Championship, she was more relaxed than ever. Her solid nerves guided her to her first U.S. Women's championship title. She won her group, and then defeated her friend Rusudan Goletiani in the final. 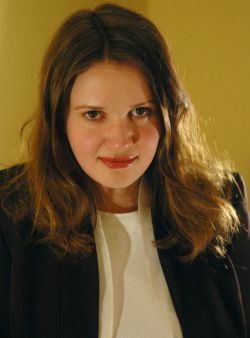 In the 2008 U.S. Women's Championship, a round robin in Oklahoma, Anna tied for first with Irina Krush and won in a controversial Armageddon playoff. In the 2009 US Women's Championship in Saint Louis, Zatonskih dominated the field with a massive 8.5/9 score. She also picked up $15,000. In the 2010 event, Anna Zatonskih tied for second place, with her main rival in US Women's chess, Irina Krush capturing the crown. In 2011, a new format premiered at the Championships, a preliminary round robin followed by head to head semi-final and finals matches. Despite a shaky start in the preliminaries, Anna fought like a champion to prevail in two nail-biting tiebreak playoffs over IM Irina Krush in the semifinals, and Tatev Abrahamyan in the finals, claiming her fourth title and the largest ever first prize of $18,000. Anna Zatonskih is married to the Latvian-born, German-based Grandmaster Daniel Fridman. Anna enjoys coaching, especially when her students accidentally call her the Women's World Champion, instead of US Women's Champion. Anna does have an eye on the ultimate crown. "It's not too late for me to take a shot."